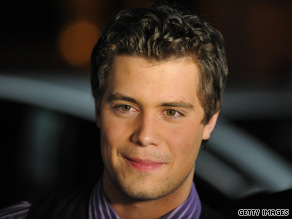 Levi Johnston wants to be the star of a new reality show that will profile his campaign to be mayor of Wasilla, Alaska. (CNN) - Levi Johnston wants to run for Sarah Palin's former job – with cameras watching him at every step. Stone & Company Entertainment confirmed to CNN that it is actively shopping a show that will feature Johnston seeking his former almost-mother-in-law's old post as mayor of Wasilla, Alaska. The show, to be called "Loving Levi: The Road to the Mayor's Office," will feature the trials and tribulations of America's most famous teen dad as he enters the world of politics while continuing to dabble in Hollywood, Stone also confirmed. First reported by Variety, the company confirms it is already shooting the pilot and is shopping it to several networks. When the show was first floated to Johnston – who recently broke off his engagement to Palin's eldest daughter, Bristol, for the second time – he wasn't thrilled with the idea of following in the former Alaska governor's footsteps. "But the more I think about it and look into it, I think there's a possibility we can make it happen," Johnston told Variety. "It's something that I want to do." That it might. The former mayor of Wasilla, Verne E. Rupright, won in a 2008 runoff election with a total of 466 votes. The next mayoral election won't be held until 2012, but Johnston may seek a seat on the city council in the meantime. Johnston also told Variety he hopes the show exposes his true character. How did the whole Palin park trash get into the spotlight anyway? Oh yeah...McCain! Normally with levi's I need a 36×30. With this one I need a 30.06. As much as I think Sarah Palin is a huge joke, and in my humble opinion pretty much screwed the people of Alaska by abandoning her post as Governor, why continue to make a farse of the political offices by having Levi getting involved. He has nothing to bring to the table as far as I can tell - and it simply is a publicity stunt. Don't the people of Wasilla deserve better than this? C'mon people!! The trailer park trash saga continues!